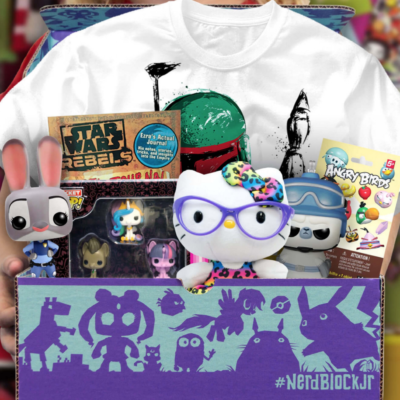 Nerd Block Jr Girls will contain: Marvel, Star Wars, Trolls, Tsum Tsum, and More! 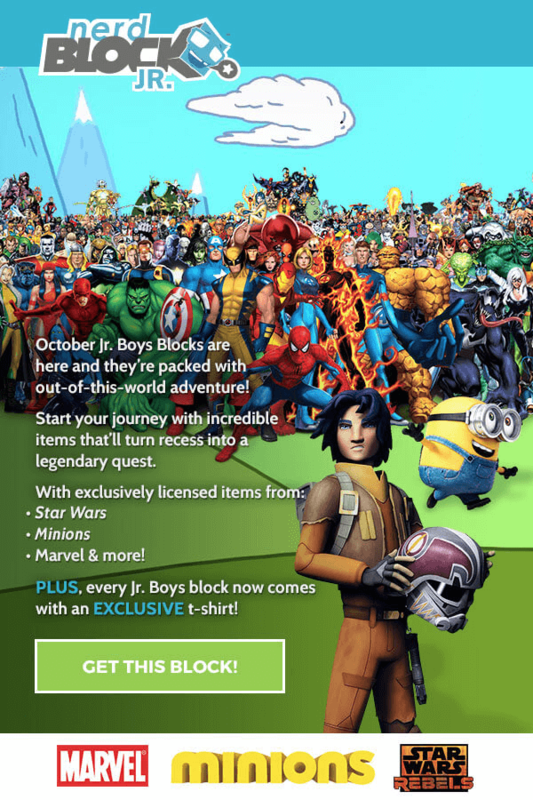 Nerd Block Jr Boys will contain: Marvel, Star Wars, Minions, and More! 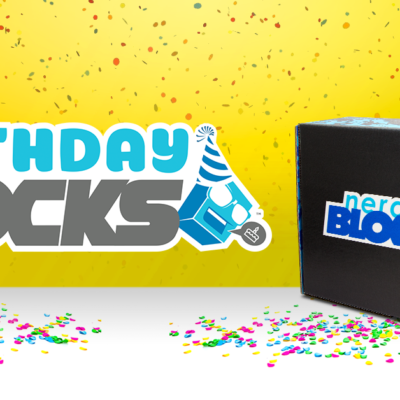 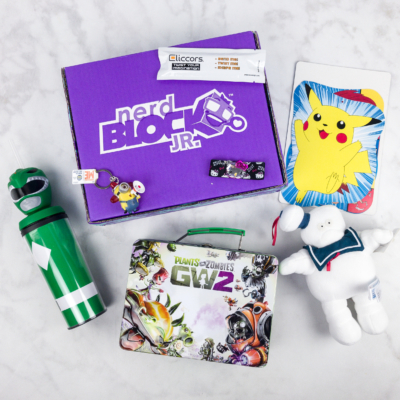 Save 15% on the first box of your Nerd Block Jr. subscription by using the code HelloSub16. 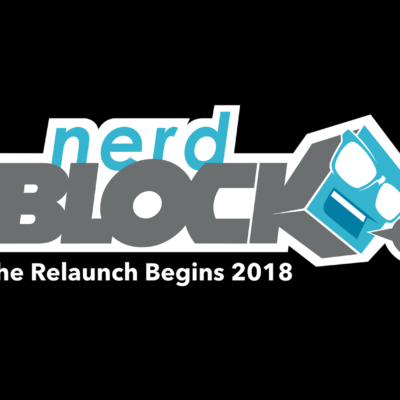 You can find Girls Nerd Block Jr here and Boys Nerd Block Jr here! 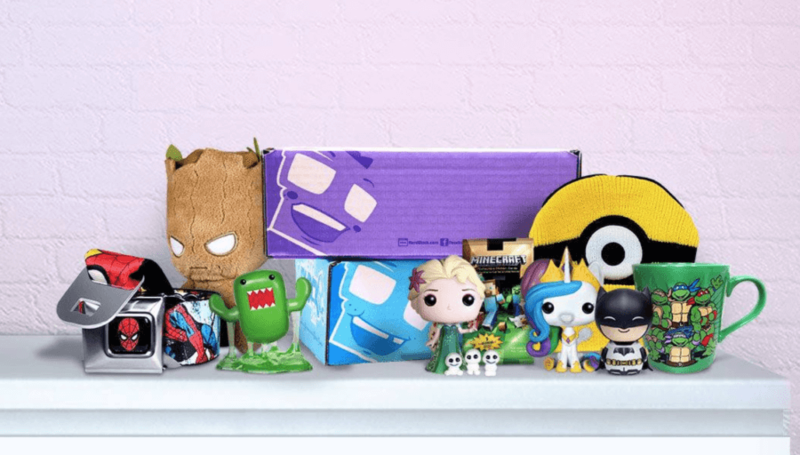 A monthly mystery package delivered right to your door filled with nerdy apparel, toys, and collectibles! 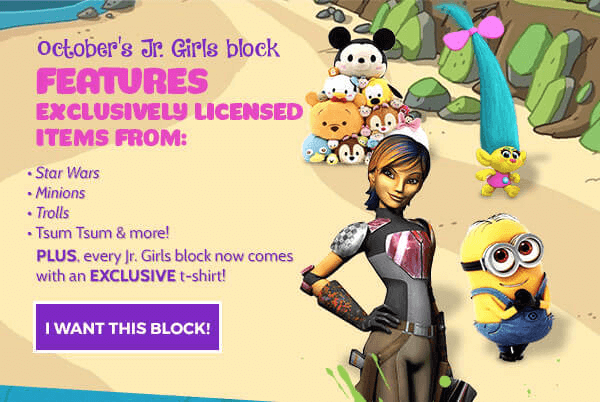 Geared for girls ages 6 to 11.